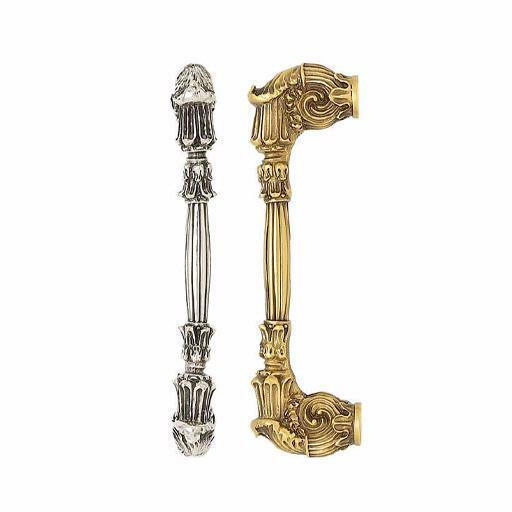 2517781-1 Nantucket finial handle 3-1/2" ctc shown in Museum Gold. Available in several other finishes. 2517739 Geneve handle 3-1/2" ctc. Available in several sizes and finishes. 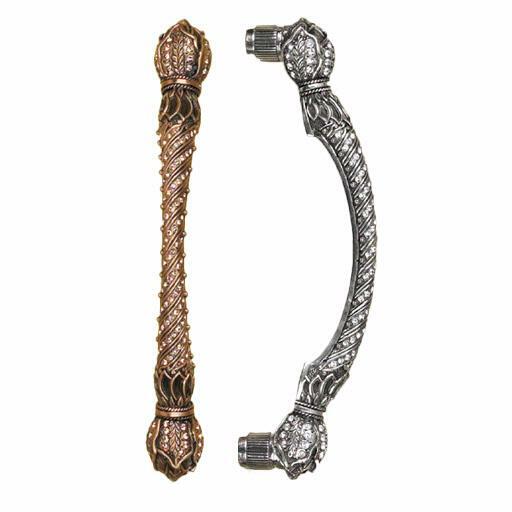 2517751 Glendale court handle 5" with Swarovski crystals. Available in several finishes. 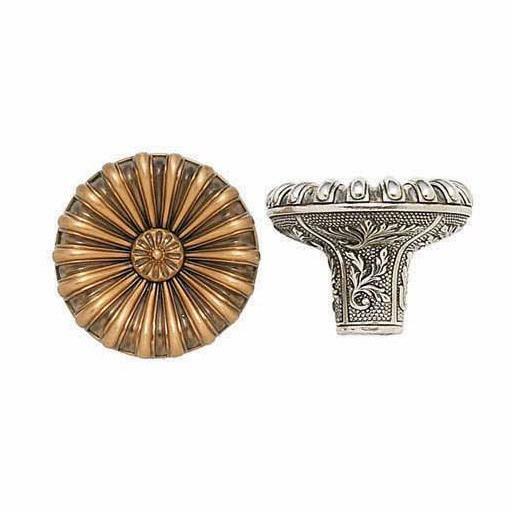 2517744-1 Portsmounth knob 1-1/2" diameter. Available in several sizes and finishes and shown in Museum Gold. 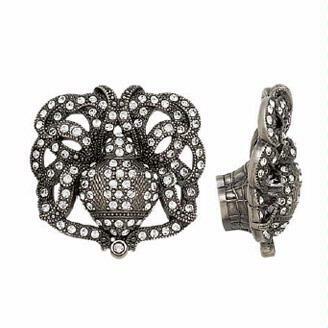 2517158 Swarovski crystal adorned knob 1-5/16" diameter. Available in several finishes. 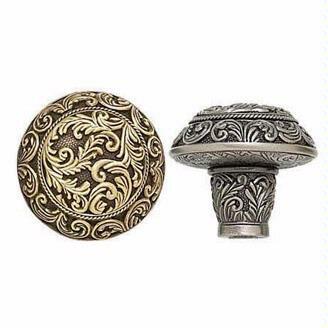 2518034 Nantucket finial knob 1-3/8" diameter. Several finishes available. 2517705 Glendale knob 1-5/16" diameter. 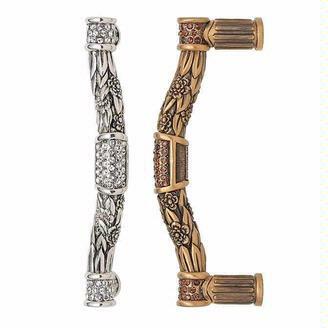 Available in several finishes. 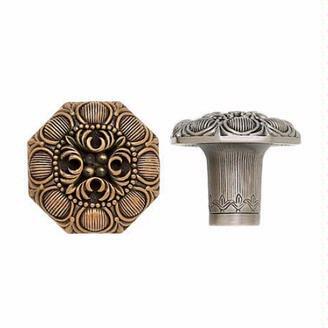 2517177 Nantucket knob 1-3/8" diameter. Available in two sizes and multiple finishes. 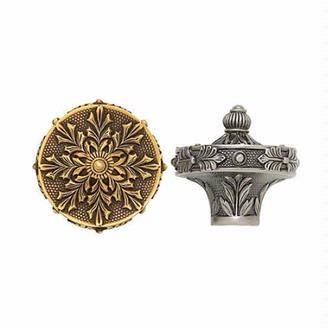 2517924 Belmont knob 1-1/2" diameter. Swarovski crystal details. Avialable in several finishes. 2517916 Glendale Court knob 1-1/4" diameter. Swarovski crystal details. Available in several finishes. 2517735 Octagon knob 1-1/4in diameter. Available in several finishes. 2517783 Hampton handle 3" ctc. Available in several finishes. 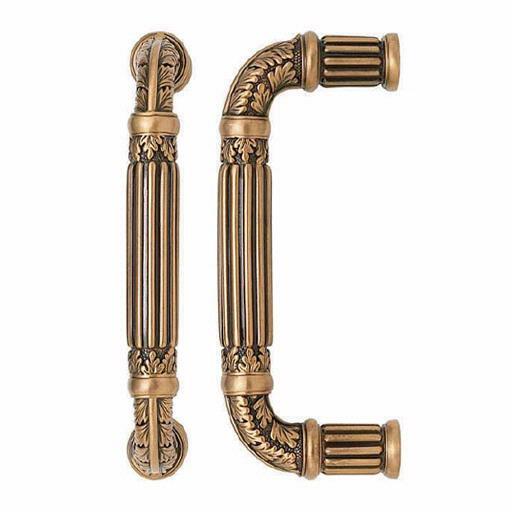 2517708-1 Nantucket handle 3-1/2" ctc. shown in Museum Gold. Available in several sizes and finishes. 2517761 Lion in Winter handle 5" ctc. Available in several sizes and finishes. 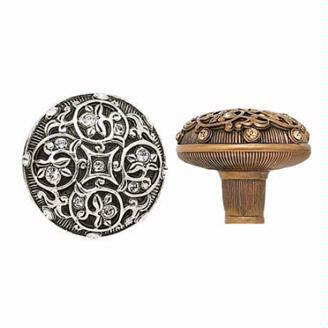 2517750 Lion in Winter knob 1-3/8" diameter. Available in multiple finishes. 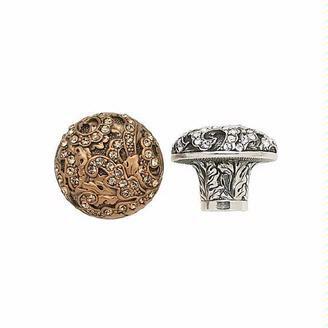 2518184-16 Flora & Fauna Swarovski embellished butterfly knob. 2-1/4" x 1-15/16" Available in multiple finish combinations. 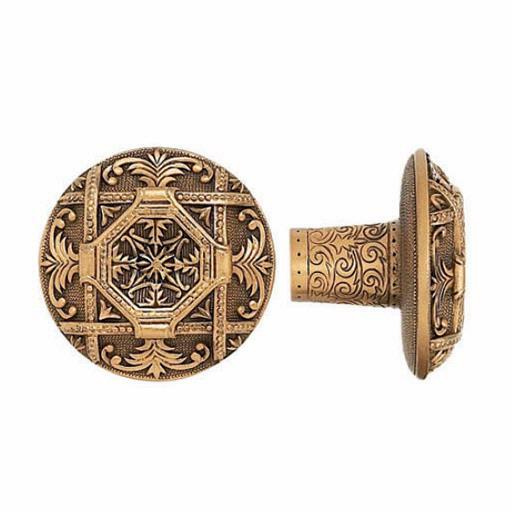 2518160 Floral knob 1-3/4". Available in several finish combinations. 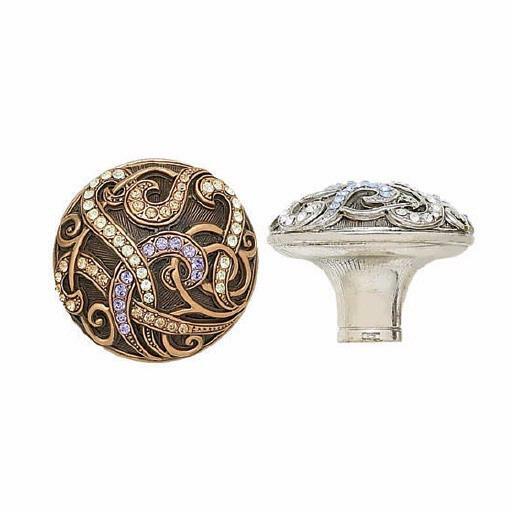 2518205-16 Charlotte Swarovski embellished knob 1-11/16", shown in Burnished Silver. Available in several finishes. 2517716-9 Hampton Crystalized handle 5" ctc. Several finish combinations and sizes available. 2517945 Portsmouth handle 3-1/2" ctc. Several finishes & sizes available. 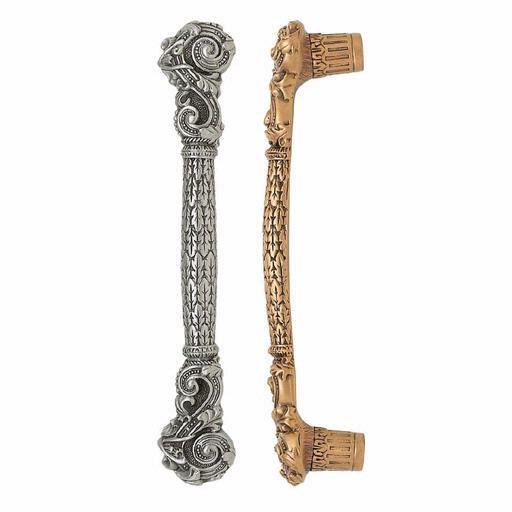 2517695 Nantucket floral crystalized handle 3-1/2" ctc. Available in several finish combinations. 2518069 Kingsbury handle 3-1/2" ctc. Available in several finish combinations. 2517792-16 Hampton crystalized handle 3" ctc. Shown in burnished silver plate with clear Swarovski crystals. 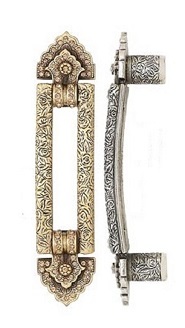 2517920 Nantucket Jewel handle 5" ctc. Available in several sizes and finishes. 2518503-9 Nantucket Jewel oval Swarovski crystalized knob 1-7/16". Shown in Museum Gold. Available in several finish combinations. 2517734 Tremont knob 1-5/8" diameter. 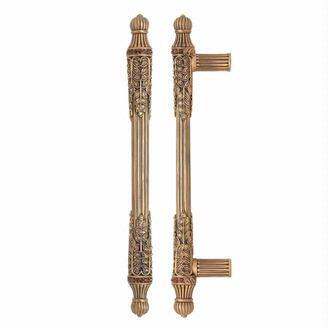 Available in two sizes and several finishes. 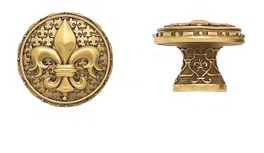 2518537-FG Fleur de Lis knob 1-5/16" diameter. shown in Florentine Gold plate. Available in multiple finishes.